Need a quick and easy way to send email blasts to your parks and recreation association? Hate all the paperwork involved in processing dues? How about manually collecting event attendees’ names and fees with a checklist? Whether you manage a parks and recreation association or department, Parks and Recreation Management Software can make your life much easier so you can get back into nature rather than spending as much time in front of a computer. If you’re wondering if this type of software can help you out, you’ve come to the right place. What is Parks and Recreation Management Software? Easy Website Builder: create and update your parks and recreation department or association’s website with no tech experience necessary. Online Event Registration: create and promote your events with online registration, attendance tracking, and payments, plus automated event reminder emails so your nature walks aren’t forgotten. Simplified Online Payments: automate dues, registrations, renewals, and merchandise payments so your supporters can get back into the wild without delay. Robust Contact Database: maintain detailed records of all your members or supporters in an easy-to-search online database that you can access from a desktop or mobile device. Online Store: sell any park merchandise (just think of how cute a cap with your logo would be!) by setting up a simple online store with online payments. Professionally Designed Emails: send beautiful newsletter and email communications to everyone in your association or department. Exclusive Member Login: allow anyone to create their own password protected profiles and access exclusive resources on your website. Mobile App: manage your parks and recreation association on the go by checking contact records, sending e-blasts, and registering event attendees right from your phone. This kind of software is part of a larger category called membership management software, which any membership organization can use to help keep their organization on track. By automating the majority of tasks like the ones mentioned above, some association administrators have been able to save over 20 hours per week. This can help you focus more on other challenges you face, such as leadership development and promotion of your services within your community. 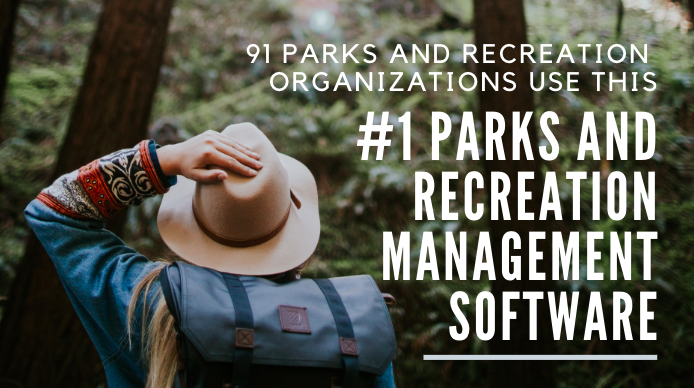 Wild Apricot is the #1 rated membership management software used by almost 100 Parks and Recreation organizations across the US. You can try a free, 30-day trial of Wild Apricot and have your association set up with a professional-looking website with online registration in just an afternoon. Here are four examples of parks and recreations associations, societies and conservancies that have used Wild Apricot to build out their website. While you can't see how they're managing things in the backend, you can see how they've organized things online. Beautiful pictures of the parks they represent! Once you sign up, you’ll have access to all the functionality that Wild Apricot’s paid clients receive for 30 days. If at any point you need help with our parks and recreation software, feel free to get in touch with our friendly support team. They’ll be more than happy to help you set up your account as quickly as possible. Best of luck with your parks and recreation organization!